MESIA was proud and delighted to present at the TUV Rheinland event “All Quality Matters Solar Congress 2019” in Suzhou, China on March 21. The event was very well attended by senior and key suppliers in the solar market in China. 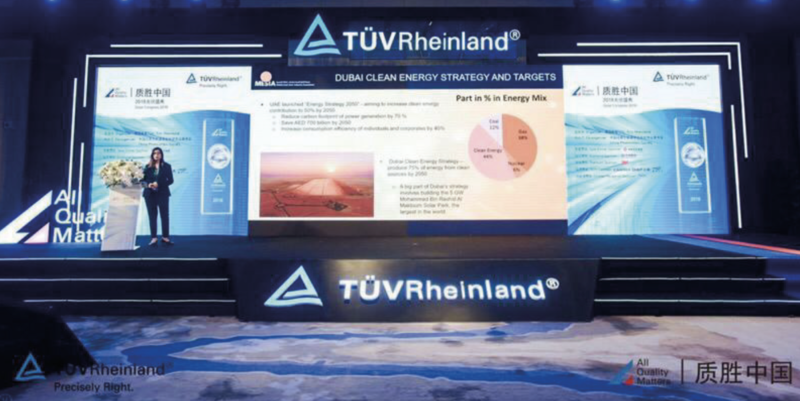 Gurmeet Kaur, MESIA Board Member, presented “Dubai’s vision and accomplishments towards a solar powered economy”.